The coupe game has changed, drastically. Over the past summer we’ve looked at a lot of examples of “cheap thrills” from mainstream manufacturers. While most competitors were fighting for a podium position in the under-$30,000 sports coupe segment, Honda made the bet that not everyone wanted a rough riding thoroughbred sports car. 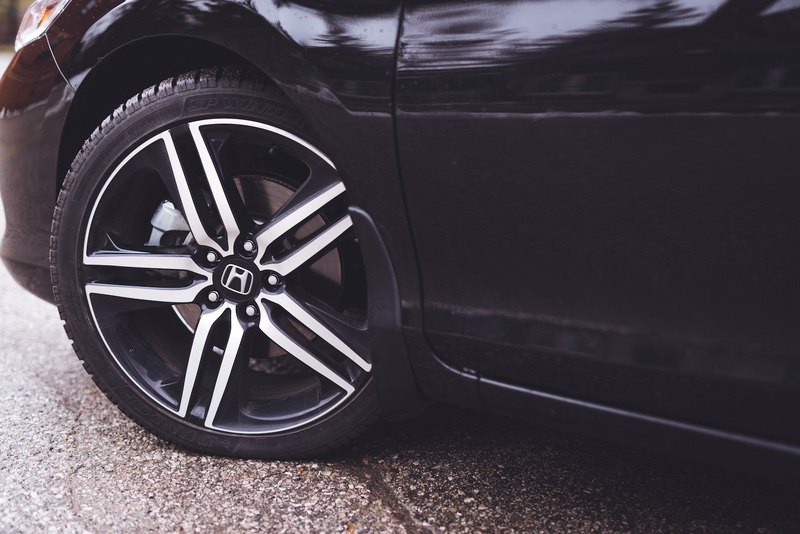 After killing off the S2000, Honda put all their chips into the Civic Si and Accord Coupe, the sole carriers of anything “sporty” in the company’s mainstream lineup. 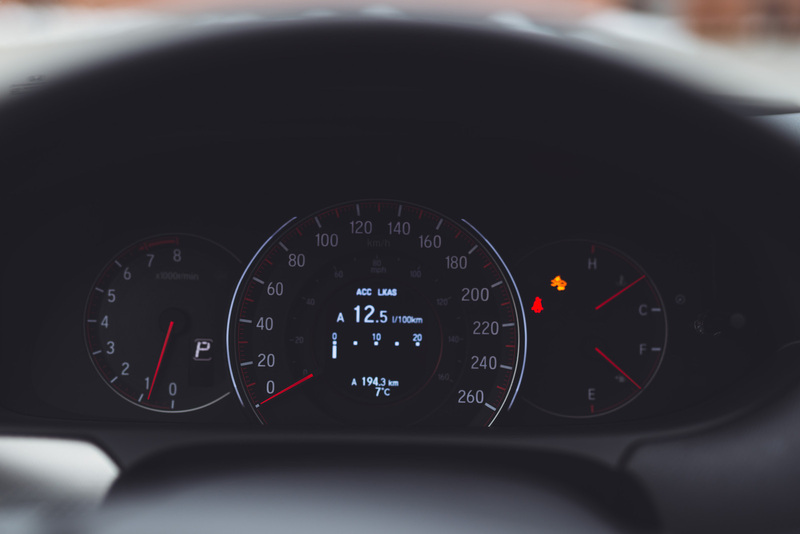 Most contenders gravitated towards the traditional front-engine rear-drive configuration, but the two-door Accord remains one of the last to use an eco-friendly front-engine front-drive setup. Toyota has long ditched their Camry-based Solaris – seriously, you tried to make a Camry sporty? – and Nissan has stopped offering their Altima Coupe too. Not only does the lone-wolf Accord have to fend off Japanese and Korean rivals like the 370Z and Genesis Coupe, but entrants from the West like the Mustang and Camaro are catching up with turbo-fours, a cheaper entry price, and the ability to turn corners without killing the driver. It’s shaping up to be quite the uphill battle. Maybe it’s time for Honda to heed the writing on the wall? 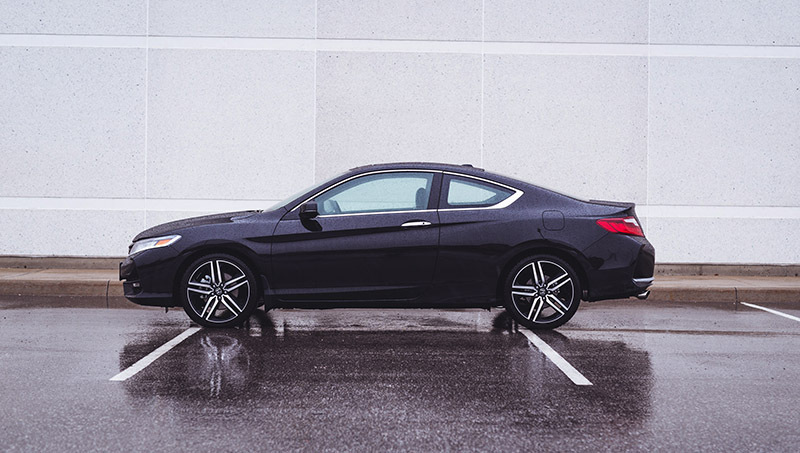 Enter the 2016 Honda Accord Coupe. The Japanese automaker has given the mid-size two-door a nip-tuck for the New Year. The face of the Coupe looks almost identical to its four-door sibling now with only a restyled front grill being the tell tale difference. It’s a beautiful front end that doesn’t need any change. 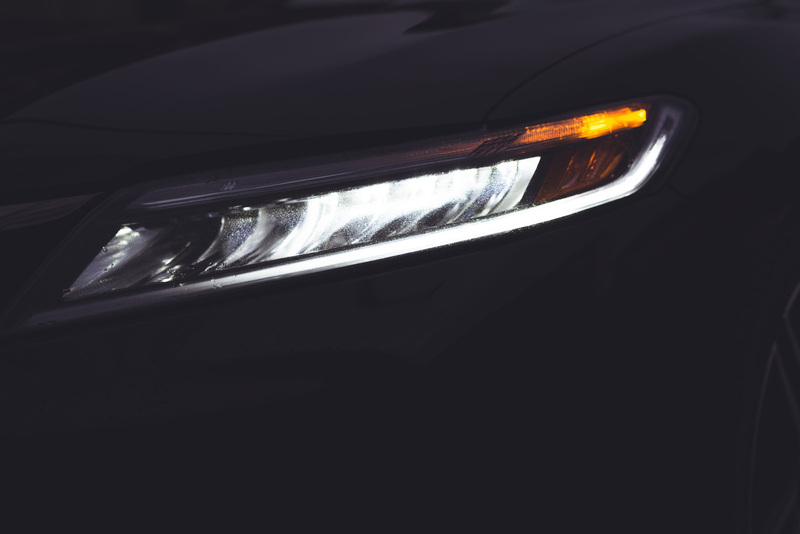 Adorned with redesigned jewel LED headlights, the Accord pulls off an elegant look that is very Acura-ish. The silhouette is quintessentially coupe too – a raked back windshield leads to a sloping roofline finished with a tapered rear end. 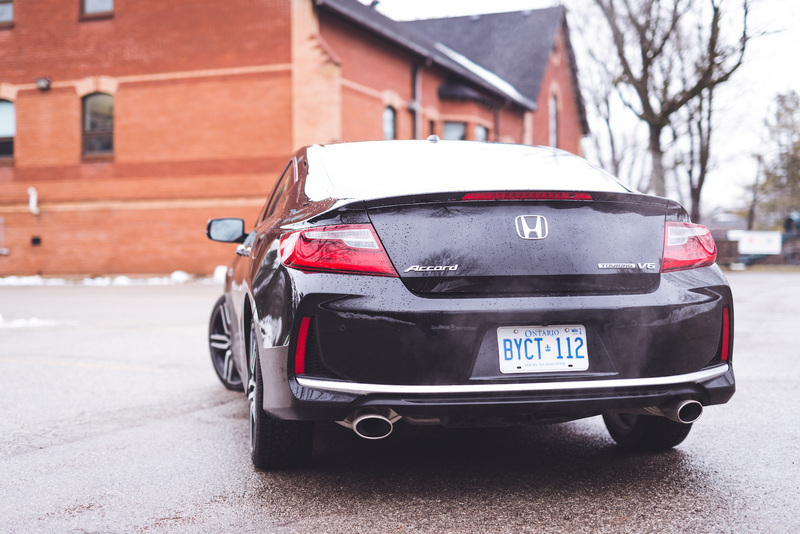 Dual exhausts maintain the athletic look for the Accord without being overly aggressive. Kudos to Honda for a well executed design that doesn’t betray the car’s sedan roots. Instantly recognizable to anyone with an Accord Sedan, the cockpit of the Coupe is nearly indistinguishable. 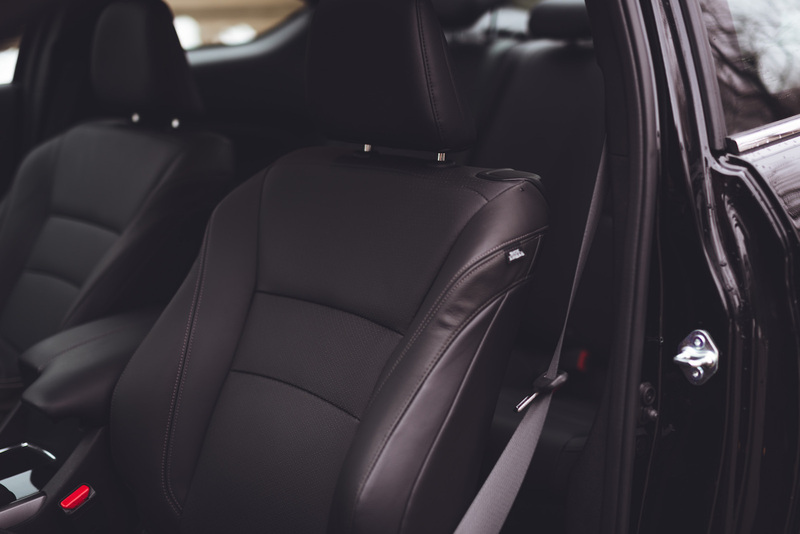 The main difference falls into the limited functionality of the rear seats. They are usable for the most part but due to the sloping roofline, taller individuals may hit their head on the ceiling. 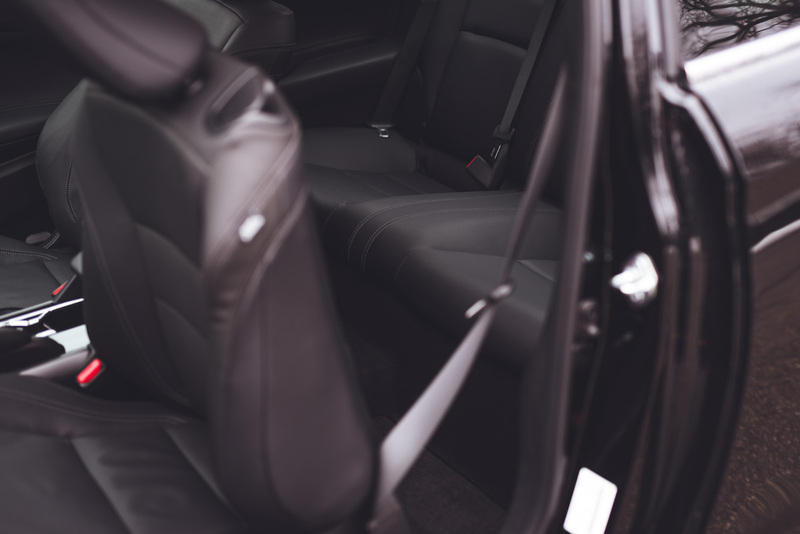 Though not as premium feeling as an Acura, the Accord still retains a very comfortable cabin. Exterior noises are well isolated and surfaces feel solid to the touch. 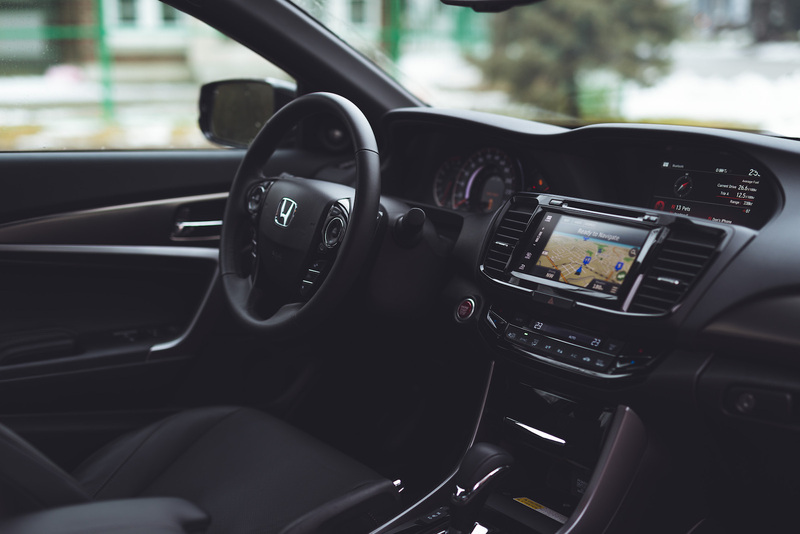 Situated in the cabin spotlight is one of the most radical changes to the Accord: the infotainment system. 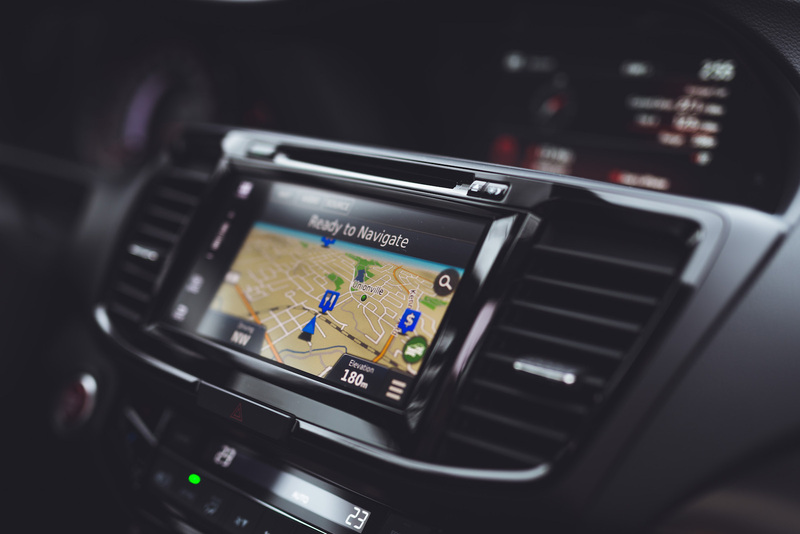 Like it’s predecessor, the arrangement has not changed: one screen represents a mixed bag of driving information, and another your current application (navigation, music, phone etc.). But the new unit is now incredibly responsive and quick to the touch. Navigating through the menus showcases some slick sliding animations too. It may seem like an insignificant change, but the new system pays dividends in convenience. The one let down is still the lack of a redundant volume knob. You only realize how much you miss it when it’s gone. The beating heart of the two-door is Honda’s excellent 3.5L V6 Earth Dreams motor. Don’t let the two-door layout and red gauges fool you, the power plant doesn’t offer any vestiges of extra grunt over the sedan. The powerplant delivers a decent 278 hp and 251 lb-ft of torque, substantially down on power in comparison to the V6 Camaro and Mustang. Yet, the motor never felt slow. 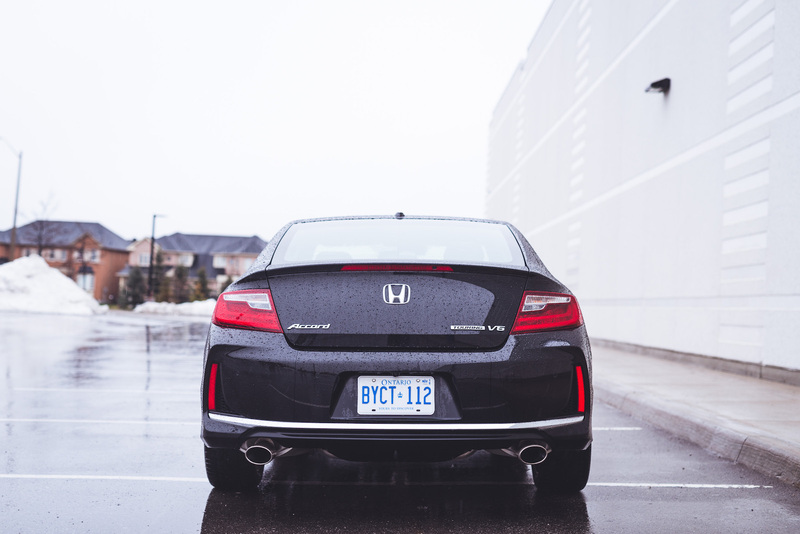 There is liveliness to the Honda that is reminiscent of the heydays of the Civic. The motor is like a free spirit, always willing to rev and oftentimes will surprise you with just how quickly it can scamper up to the redline. 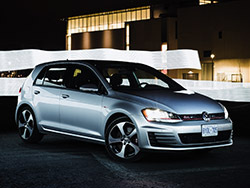 Power delivery is linear and smooth – yes even when i-VTEC kicks in. The naturally aspirated mill sounds plenty good too with lots of induction noise and a howl up top that’s classic Honda. Best part? It’s all 100% authentic, no piped in engine noises on this baby. My fully loaded tester came mated to a six speed automatic transmission (no CVT here either!) but the option of a six speed manual transmission is available on the EX-L trim. 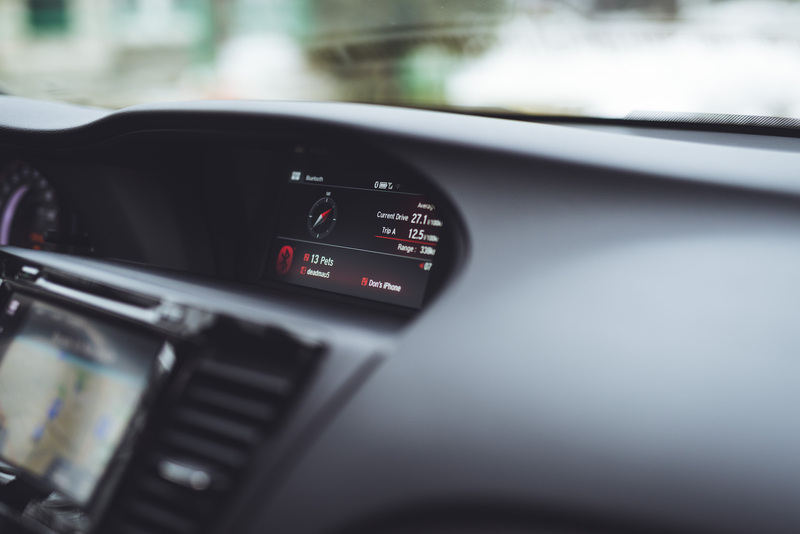 The automatic does come with a Sport Mode that increases throttle response and holds onto gears a bit longer. Curiously there are no steering wheel mounted paddles. One second in manual mode and it quickly becomes evident why. The transmission isn’t particularly quick. Downshifts are fairly speedy but upshifts feel as lazy as a student without caffeine. For example, in an effort to keep the car from hitting the limiter, upshifts had to be engaged a good 500 RPM before redline. Not a good experience. 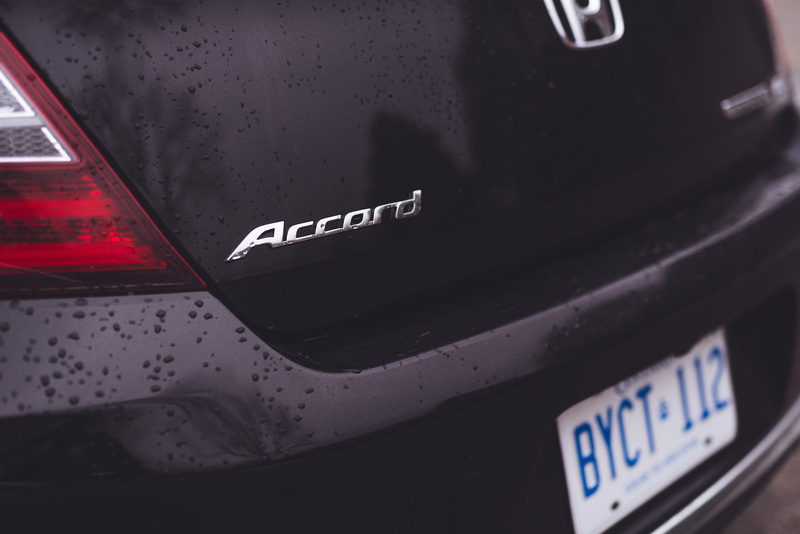 On the other hand, we praise the Accord’s light steering that gives the illusion of handling a car that is much smaller and quicker on its feet. Off the line, the Accord’s torque steer is surprisingly well controlled. Any semblance is easily countered by inputs from the wheel. In the city, the car handles bumps on the road with zeal, keeping occupants fairly isolated. However, when pushed hard the suspension is too soft and the big coupe rolls, squats, and dives like Jordan Belfort’s yacht in the middle of a storm. At the limit, the heavy front end wants to keep pushing forward. 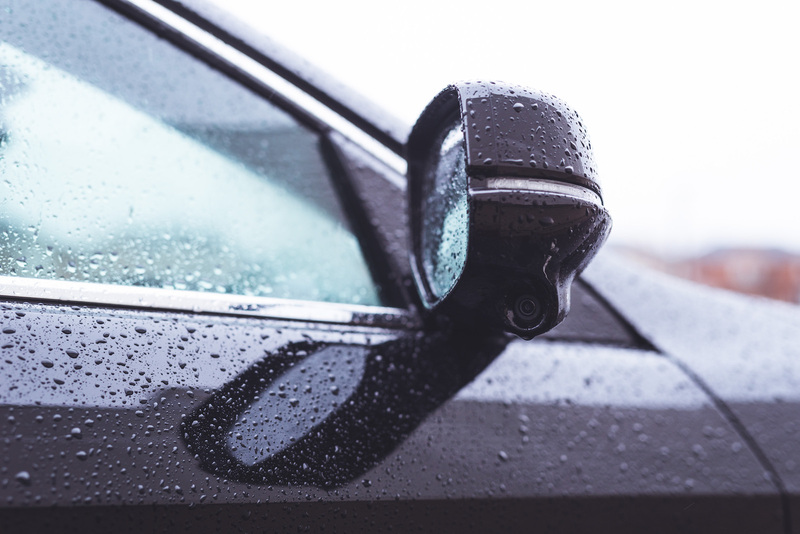 The understeer is gradual but is generally well maintained – an inevitable outcome of the car’s drive layout. 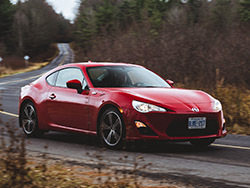 Most manufacturers will charge a hefty premium for their coupe variants – somehow, the logic of lopping off two doors and tacking $10,000 on the sticker escapes me too. 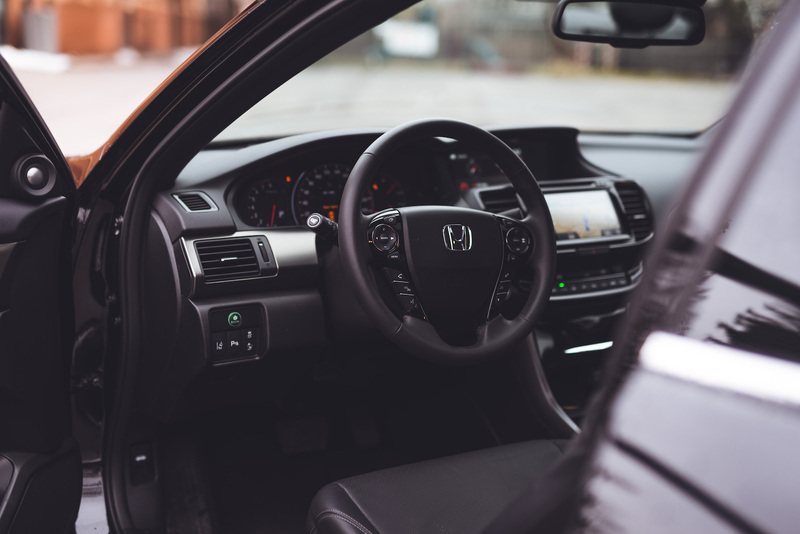 Honda does what conventional wisdom suggests and serves up the coupe at an $40 premium over its four-door V6 Touring equivalent, the same price you pay for four months of Spotify. It’s a good incentive for those who want to get behind the wheel of a coupe without breaking the bank. On the pragmatic side of things, a mid-size coupe makes a lot of sense – all the sleek looks without losing too much practicality. But, as is always the case in these scenarios, one look at the competitive landscape and other possibilities begin jumping at you like paparazzo. A far more premium luxury experience sits $10,000 higher in the form of the Audi A5. Those looking for cheap thrills can pick up the Camaro or the Mustang for a lot less than the Accord too. Let’s not forget that the blue oval’s pièce de résistance – the V8 GT starts at $2,000 more than our current-spec Accord Coupe. 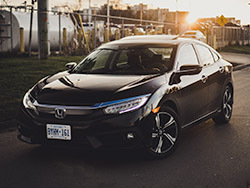 Finally, as the final nail in the coffin for Honda’s entrant, the recent boom in four-door coupes offer nearly all of the practicality of the sedan while retaining 90% of its handsome coupe-like looks. The truth is, the coupe segment has heated up to be one of the bloodiest battlegrounds for all manufacturers. Everyone wants a piece of the pie, and Honda continues to fight on with a car that at its principle is a relic from the 90’s. 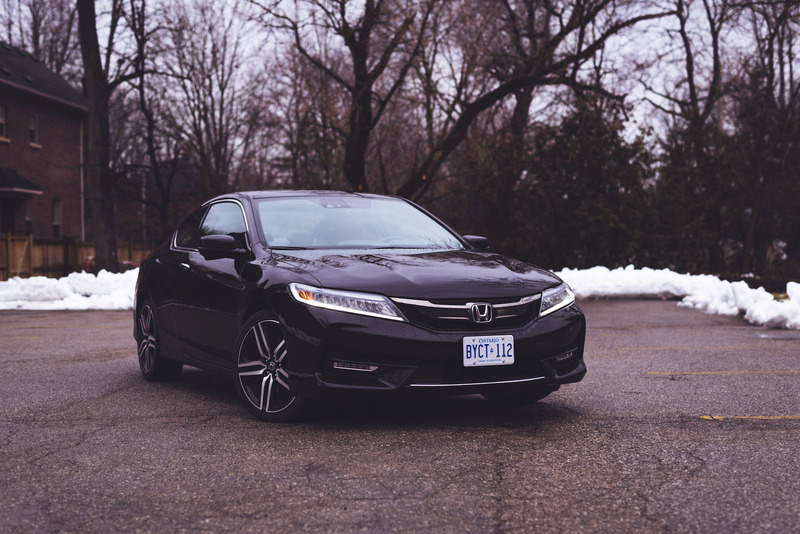 It may not hold a candle against its competitors, but the Accord Coupe harkens back to a time gone by – the days of the Honda Integra, Prelude, and Acura Legend. For some buyers the nostalgia is enough, and in an age where most manufactures will axe a model the second it stops making money, enthusiasts should be happy that Honda still delivers a #throwbackthursday experience every day of the week.